Green Zebra believes the most important service that we can provide to our customers is to get things done when it is expected and how it is expected. This is especially true when it comes to mowing. Getting services done when expected is one of the easiest and hardest parts of our business, especially when it comes to mowing. Weather is one of the most difficult factors to deal with for a mowing crew. When the weather is bad we put a very high priority on our weekly service to stay on schedule. Upon request, when weather is an issue, we can call. What we mean by “the easiest part” is that it is one of the simplest ways to separate us from the competition. Our schedule is something we know ahead of time, so it is a simple matter of sticking to it. Getting services done how it is expected is a team effort by Green Zebra and our customers. Communication is the key to providing each individual customer exactly what they expect. Everyone has different tastes, so if there is something you want done differently just let us know, we will come up with a plan, then we will enter it into our system and the plan will be followed every time after that. 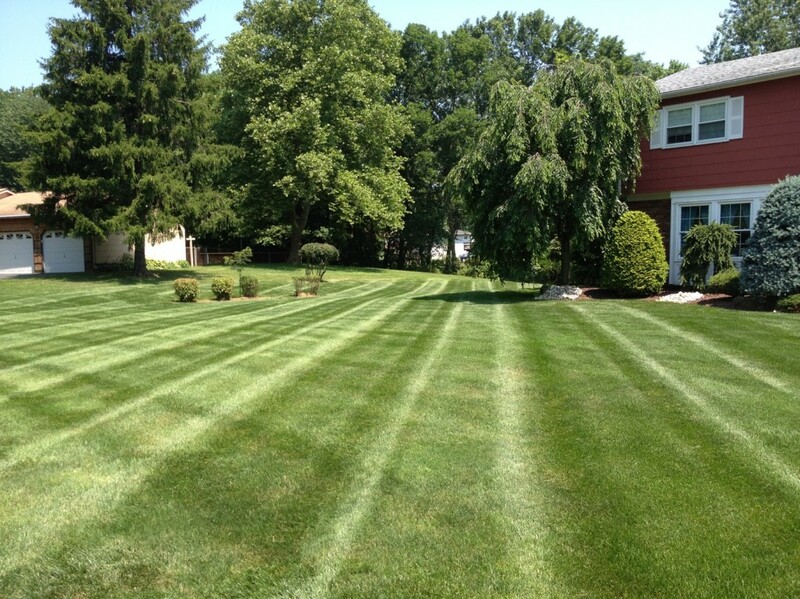 Anyone can mow a lawn, but we specialize in creating that professional look with the Green Zebra striped pattern. 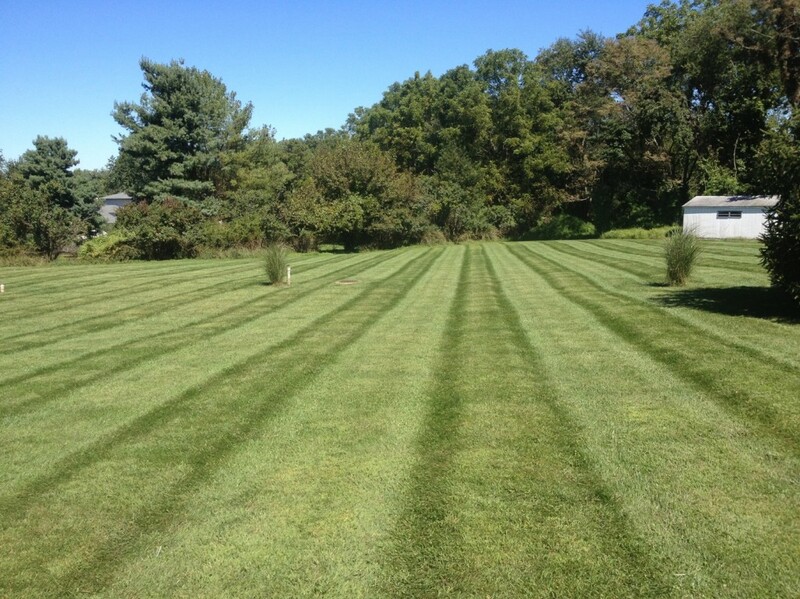 We are always striving for the perfectly straight stripe, but there are other options. 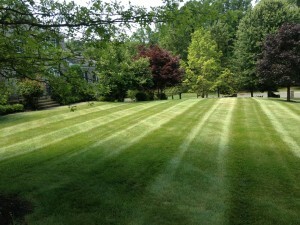 If you don’t like stripes we can mow in such a way that your lawn won’t be striped. With our sports turf background we have the ability to create all kinds of patterns. 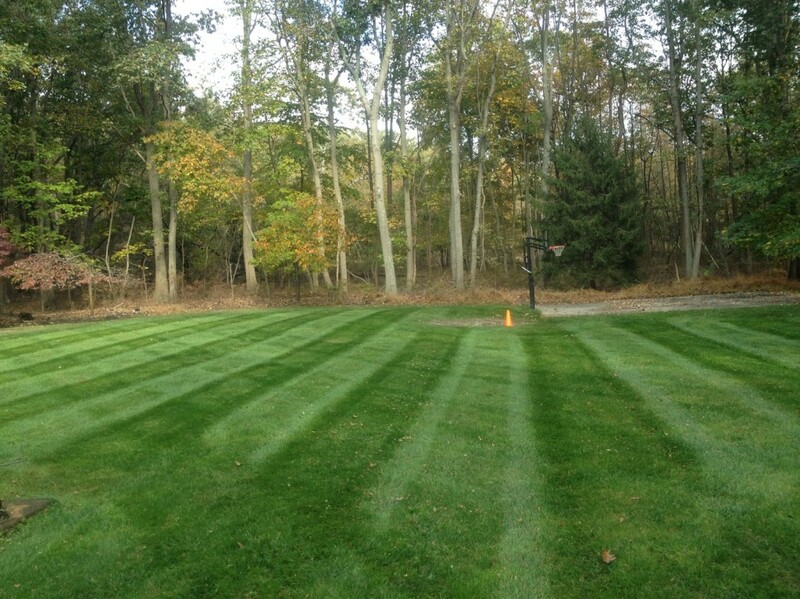 We can even put your business logo or favorite sports team logo in your lawn. Just ask about these options.